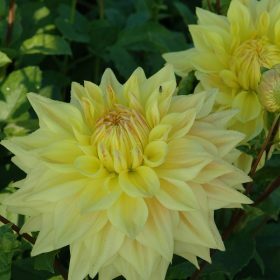 Dahlias make wonderful garden plants and originate from Central and South America. 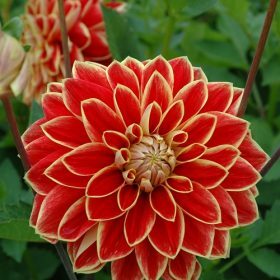 This is a fantastic collection of five dahlias which will attract a whole range of insects including bees and butterflies. 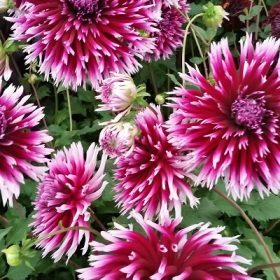 Alauna Clair Obscur is a very eye catching cactus spider dahlia in claret red which shades to fuschia over time, finished off with white tipped petals. 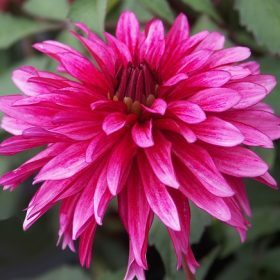 This dwarf decorative dahlia Art Nouveau has flowers that are a lovely pink and purple bi colour. 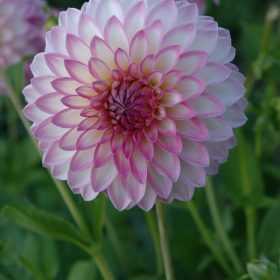 Dahlia art Nouveau, like many dahlias can often be under estimated, but they do provide colour all summer long. 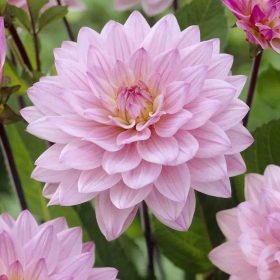 This is a superb collection of Bishop dahlias which will give you 15 tubers in total. 3 tubers each of Bishop of Llandaff (red), Canterbury (purple/pink), Leicester (white with purplish tinges), York (yellow) and Oxford (orange). 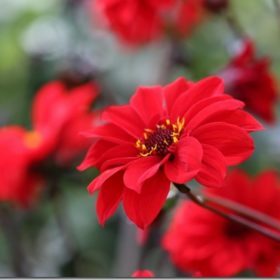 Bishop of Auckland will produce deep red flowers on strong stems with superb bronze coloured leaves. The flowers of Bishop of Auckland are very attractive to bees and butterflies and thus ideal for the garden. 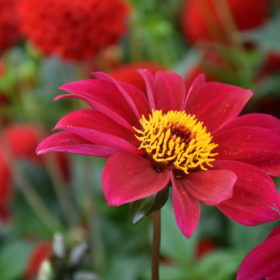 Bishop of Canterbury is an excellent dahlia variety and rivals the more popular Bishop of Llandaff. 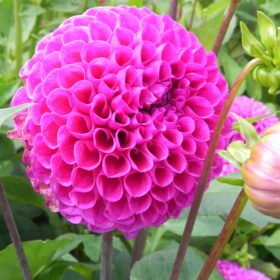 Bishop of Canterbury will produces great deep purple flowers. 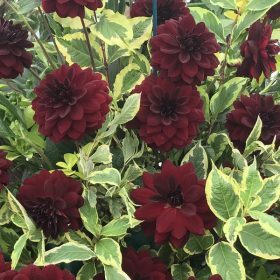 Bishop of Llandaff produce a mass of dark red flowers with leaves that are a deep bronze green. 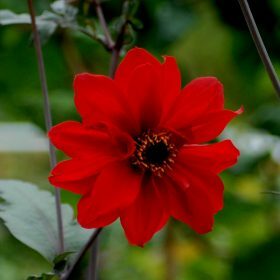 Dahlia Bishop of Llandaff has bronze foliage which sets off the flowers really well. 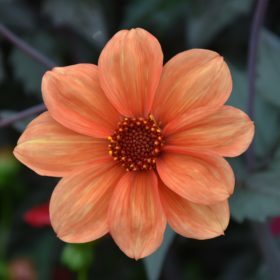 Bishop of Oxford produces orange flowers with leaves that are a deep bronzy green. 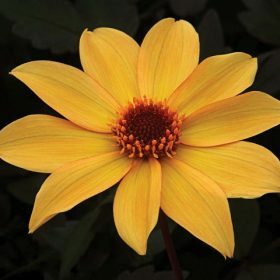 The bronzy yellow flowers of Bishop of York are very attractive to bees, pollinating insects and butterflies and as such are an ideal addition to the garden. 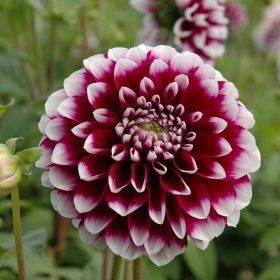 Black Touch, as the name suggests is a dark maroon, almost black cactus dahlia. 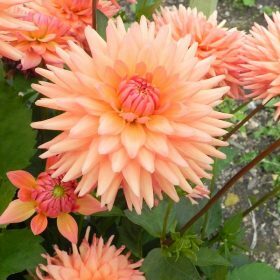 Dahlia Cabana Banana is a quite superb dahlia with flowers that are a salmon pink. 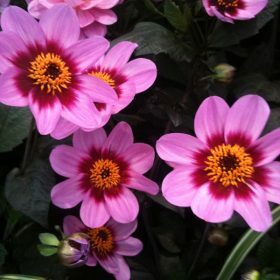 As a cactus dahlia this variety has delicious spiky flowers. 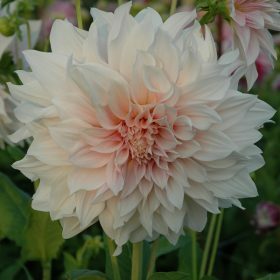 Catching Fire is a wonderful white and red petal decorative dahlia which grows to 100cm. 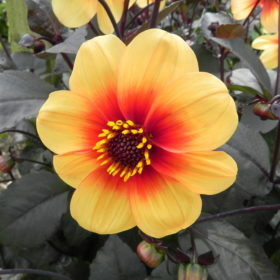 H S Date is a single flowered dahlia with flowers that are very attractive to bees and other pollinating insects. Flowers are yellow with a graduating red centre.